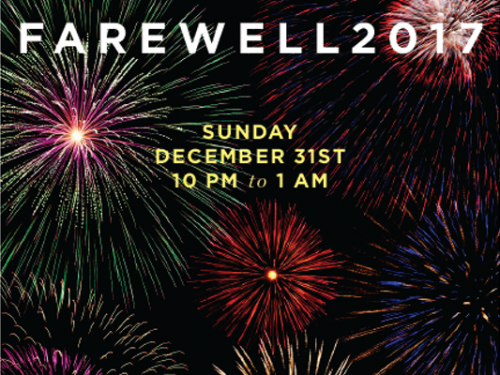 Drink in the New Year with as much beer as you can drink for $35 at Greenpoint Beer and Ale! Starting at 10 PM to 1 AM, dance your tail off as you and your friends sample their large assortment of beers. If beer isn’t your thing, they also have a full bar available a la carte all night. 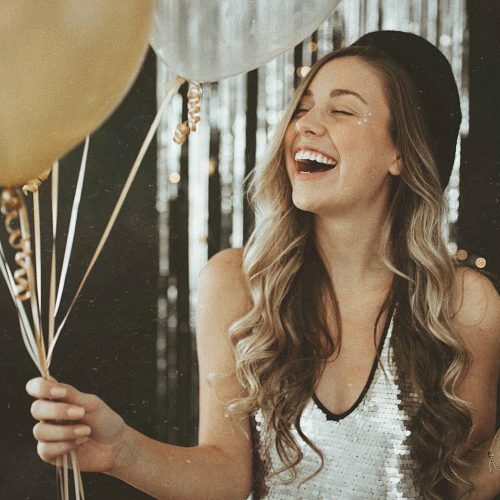 At midnight, watch the ball drop live in all it’s glory on the big screen while you toast with complementary champagne. Say bye to 2017 with a hurrah and beer in hand. $35 Open beer bar option online only. $45 at the door. A $10 cover charge at the door for those opting out of the open bar option. Cheers! Start 2018 with the buzz of creativity and cuisine at Le Fanfare. The owners, Jazz musician Luca Fadda, his wife Giorgia and their life-long friend Nicola Paganelli (whose family owns the Meloni winery in their native Sardinia, Italy), felt such a strong connection to Greenpoint, they opened this hip Italian spot. Pair their amazing all-Italian wine list and classic cocktails with a three-course pre-fixe dinner and live music by Felix Slim for an elegant night full of good food and creative energy. Perfect for couples, friends, family & groups of all sizes. Give 2017 a proper send off with one last meal. Le Fond, known for their authentic French cuisine and curate wine list, are offering a special menu with items available a la carte or as an optional $70 three course prix fixe. 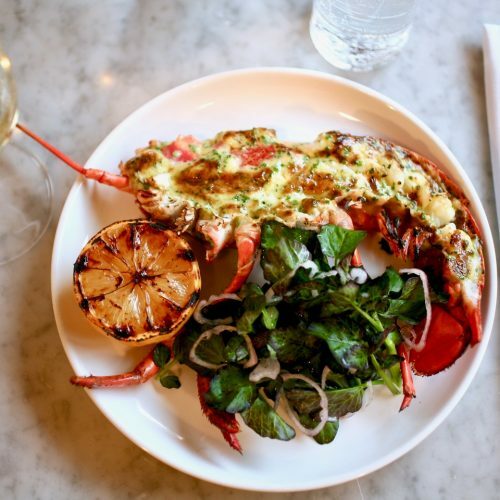 Their menu features dishes such as wild boar, black truffle fonduta, striped bass, and dark chocolate semifreddo. Your taste buds will celebrate your culinary life resolution to eat better food. Wine pairings can be added to your holiday meal for $29. Call 718-389-6859 or email [email protected] for reservations. 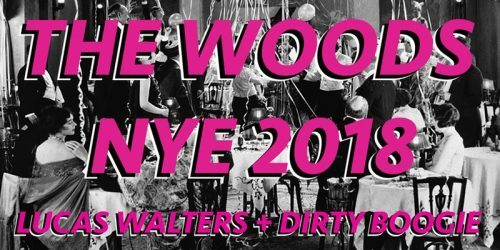 Say good-bye to a crazy 2017 and welcome 2018 in your dancing shoes at The Woods. 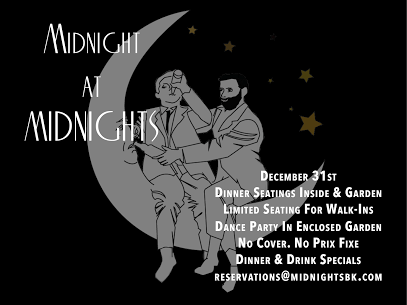 DJs Lucas Walters and Dirty Boogie will guide your journey as they preside over an evening of dancing mayhem. Known for dance parties such as #misster and weekly Rok One + Guests, if you need to get your groove on, this is where you go. Tickets include a champagne toast at midnight and party favors. Surrounded by the sparkle of holiday lights, Midnight’s winter enclosed garden becomes an epic New Year’s Eve bash. 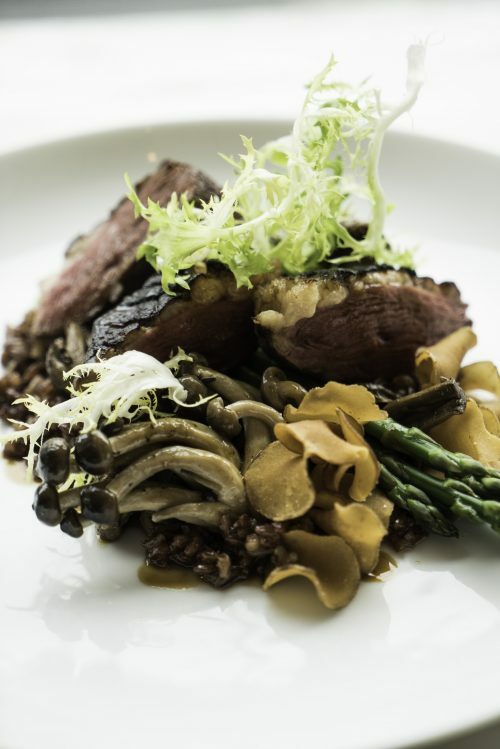 First, dinner at 6pm features foraged mushroom risotto, filet minon & lobster tail. Then join in one hell of a dance party in the enclosed garden that goes into the morning light, only taking short break at midnight for a champagne toast. No Cover. No Prix Fixe. Just great food, people and music. Call or email them for reservations. Put your party dress on and welcome in 2018 with style – Gatsby style that is. See their champagne tower as time counts down, and you jitterbug your way to the open bar. From 8pm to midnight, embodying the 1920’s era and imbibe with extravagance. Entertain your tongue with dishes from the kitchen such as tuna tartare, fig salad, truffle fries, and octopus. 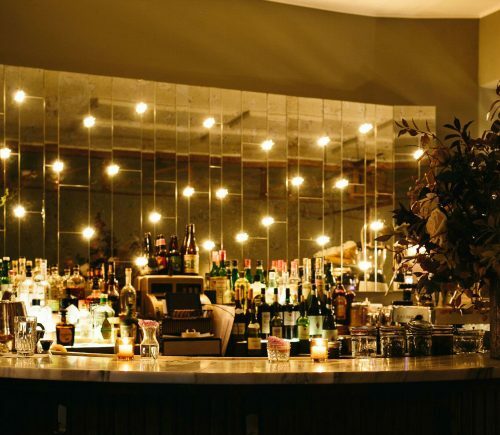 With their central location to the Nassau G trains, and their retro mirrored interior, you’ll party like it’s 1929. 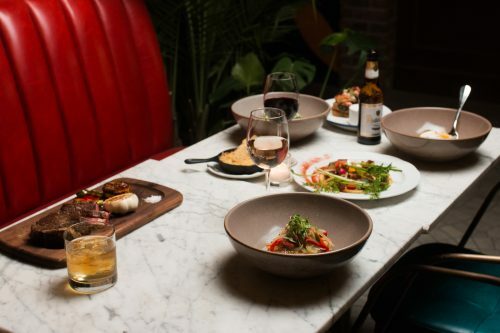 Harvey, the très chic restaurant inside the Williamsburg Hotel, is offering a Prix Fixe three course menu with complimentary glass of champagne. It includes a limited a la carte menu from Harvey’s regular dinner service. As Harvey is touted as one of the most anticipated restaurants to open in the neighborhood, it’s a way to start your New Year. Welcome the New Year at ESME as they celebrate clean plates and clean slates! 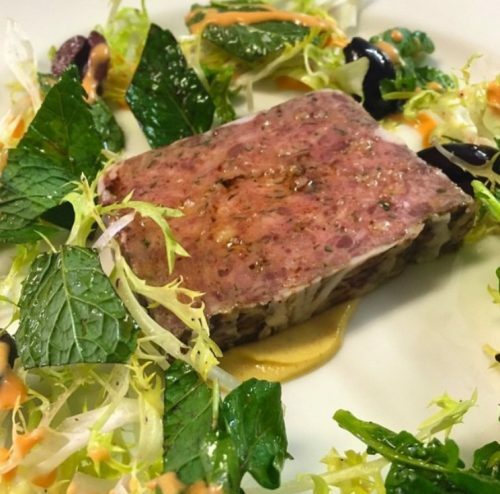 Serving a six course menu with with vegetarian options, a sample of their New Years dishes are beef tartare with manchego, duck with collard greens, and maple cheesecake. Available for $80 per person; wine pairing featuring some of their favorites for $35 and Champagne will be available by the glass. Seating begins at 7pm — call or email [email protected] to make a reservation.